From Left: Moderator at the Dais: Phillip E. Thompson, Esq., President, Loudoun County Branch of the NAACP, Seated: The bizarre DEA agent that injected himself into the group, Brandt E. Welch, Immediate Past Vice Chair for Community Relations- UVA, unknown, Loudoun County Sheriff (Ex-DEA) Mike Chapman, an unnamed FBI Agent, civil rights attorney Daniel P. Watkins, Dr. Julianne Moore, President of Economic Education, Rev. Dr. Jeffrey O. Johnson – Sr. Pastor Mt. Calvary Baptist Church, Wendall Fischer – Supervisor, Office of Outreach Program LCPS, Ken Coopwood, CEO-Coopwood Progressive Workshops, Gregory C. Brown – Chief of Police, Town of Leesburg, and Virginia State Senator Jennifer Wexton. On the evening of June 5th, 2018 I attended a town hall meeting held in Ashburn, Virginia, the Internet’s global inter-connection point, data center capital of the planet, and home of the Washington Redskins, a bustling little hamlet of Loudoun County, Virginia, a suburb of Washington DC. The topic was “Building Positive Relations with Law Enforcement” and the event was held by the Northern Virginia Business and Professional Women’s Club, an organization of African-American female executives. Loudoun County is the wealthiest county in US with neighbors Fairfax County, VA and Howard County, MD coming in #2 and #3 and Arlington County #6. In addition to football field-sized data centers spying on the population, our little county leads the nation in the sale of luxury automobiles, fine jewelry, expensive wine and spirits, premium cigars, kind bud, McMansions, cosmetic surgery, bought-and-paid-for-politicians, and Federal “workers” making $170,000+ a year. My running joke whenever friends or neighbors bring up the subject is “It’s almost like the wealth of an entire nation was stolen and concentrated in a tiny little area around Washington DC”. Except it isn’t a joke! 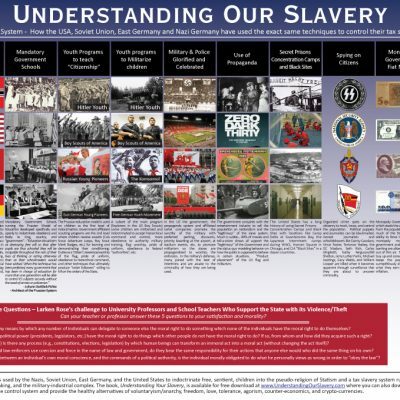 it’s the reality that I am exposing in my new book: Understanding Our Slavery – “It’s a System” How the USA, Soviet Union, East Germany, and Nazi Germany have all used the exact same techniques to control their tax slaves”. 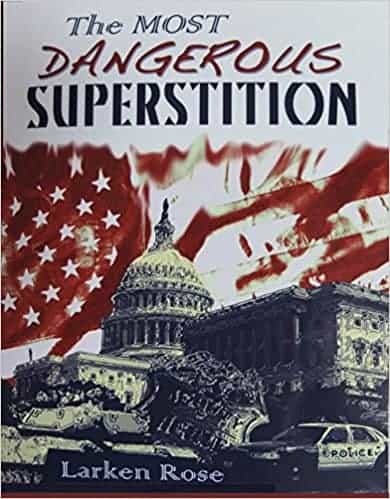 The book exposes how inter-generational organized crime has been controlling and robbing society using a technique called Statism in its mandatory government schools. 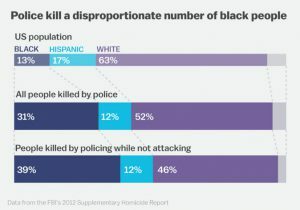 One of the unfortunate consequences of the system is the government’s monopoly police forces are given the ability to rob, victimize and even murder the citizenry with impunity and the African-American community is being disproportionately targeted… a point made by the majority of residents who made comments or had questions at the end of the meeting. 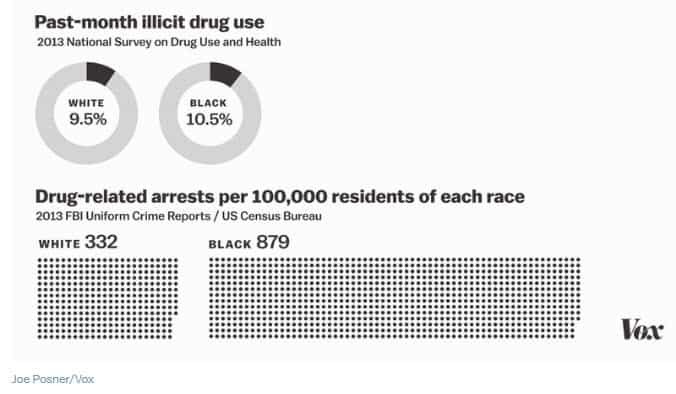 Shockingly, to the visible and audible disgust of many in the crowd, myself included, Sergeant Easton McDonald of the National Organization of Black Law Enforcement Executives (Executives?NOBLE?) presented a video that suggested the solution to the problem was for African-Americans to simply roll-over and submit in any police encounter no matter how egregious! He further used as examples of situations where he believed the police could interject themselves: a group of men shooting dice or if an officer smelled marijuana. Both victimless crimes where the police/government arrest peaceful people and frequently lock them in for-profit prisons where they are then forced to work as slave labor for pennies an hour. In the case of gambling, the local Fairfax police famously swat-teamed (Breaking and Entering when anyone else does it) a well-known high stakes poker game in Great Falls, Virginia in 2015 made up of successful businessmen and seized/stole the cash! This was shortly after the Fairfax police SWAT team had accidentally shot and killed local optometrist Salvatore Culosi Jr. when serving a warrant for football bets where a police detective befriended him at a bar and entrapped him! 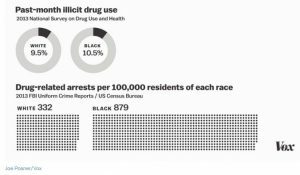 Overdoses – Illegality forces both addicts and recreational users to roll-the-dice with potentially adulterated substances since they can’t buy guaranteed pure drugs of measured potency. Violence and Crime – Prohibition raises the cost of addictive drugs astronomically vs the free market leading many addicts to turn to crime to finance their habit AND because drugs are illegal it attracts organized crime (vs. the local drug store) that settle their disputes with violence leaving the population in the crossfire vs. having access to courts. 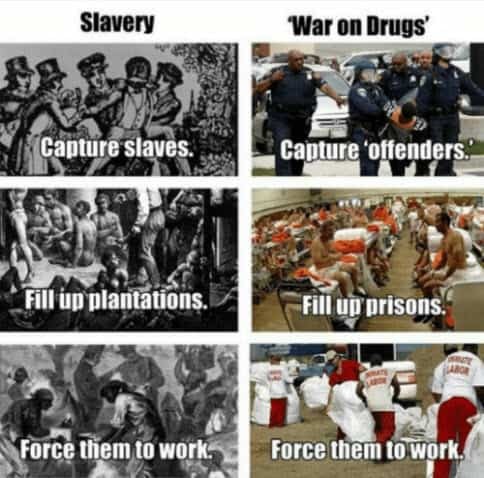 Creating Addicts – Perversely, the drug war actually creates a financial incentive for drug dealers to spend their own money to create addicts! If a drug dealer can give a teenager free drugs until they are hooked then chances are that drug dealer is the only one the kid knows so the drug dealer has a captured customer. Compare that with legally addictive alcohol where no similar financial incentive exists because it can be readily purchased anywhere. This is well known and former DEA spokeswoman and self-described agency “Chief Propagandist” Belita Nelson has publicly testified to that fact the agency is dishonest in its policies: “Marijuana is safe, we know it is safe. It’s our cash cow and we will never give it up… If you think the DEA are the good guys, they are not. They are really not. We are talking about corruption on steroids”. Honest and intelligent police officers, judges, and prosecutors who also realize this have organized themselves into Law Enforcement Against Prohibition (LEAP…Which has been recently renamed Law Enforcement Action Partnership) to address a wider range of institutionalized criminality in monopoly policing including arrest quotas, civil asset forfeiture, “stop and frisk” and police militarization among others. 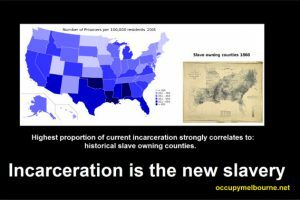 The real problem, as I explain in detail in Understanding Our Slavery and pointed out during the forum, is inter-generational organized crime using the technique of “Government” on the population to control and rob them. Contrary to what most people were taught in their mandatory government indoctrination center (Public School), “government” is not something that was imposed on you to help you or protect you but to enslave and control you. The root words are “Gubernare” (To control or govern) and “Mente/Mens” (the Mind) I.E. “Control the Mind / Mind Control”. The government accomplishes this by taking free human beings and raising them up in mandatory government schools where they indoctrinate them with a hidden curriculum and pseudo-religion called: Statism. Statism is, essentially, the belief in the legitimacy, desirability, and necessity of having a “Government”. Contrary to what you were taught in your mandatory government school it really isn’t a good idea. It really isn’t logical or moral and everyone is simply tricked into believing that the government is legitimate because the government forces people to learn that and pledge their allegiance before they are old enough to evaluate the logic and morality of the concept on their own. The simplest question that exposes the fraud of the whole idea is the one I asked… twice… “If I, as a regular citizen” don’t have the right to order people around, steal their stuff (taxes) or make up rules for everyone (laws), then how I can “delegate” rights I don’t have myself to a “representative” or “government”? I.E. 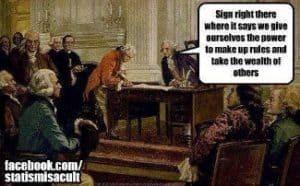 If it is impossible for “We the People” to delegate the right to rob everyone in society, boss them around, and make up rules to criminals in Washington DC, Richmond, and Leesburg then where did the police and the government get those rights? Their answer: No Answer! The government school system would have you believe that you owe 1/2 your income in overt taxes, covert taxes, and inflation because a couple of dozen slave owners on a continent of three million people hundreds of years ago wrote down on a piece of paper that they alone get that privilege. It’s an idea so absurd and ridicules on its face that it could only be taught in a government school. Two Short Videos from The Liberator expose the illogic and immorality of Statism: Top: Statism – The Most Dangerous Religion and Bottom: The Conversation. I don’t want to give away the ending to my book (Available for free in PDF at www.UnderstandingOurSlavery.com/book ) but the biggest secrets kept from public (government) school children is that the world is a self-organizing system that produces spontaneous order and that all the “services” provided by government — from protection to roads to charity — can be better provided by voluntary interaction, the free market, and real charity. Freedom doesn’t guarantee utopia, but it is the most moral alternative that unleashes the creativity and capital creation mechanisms of the market. 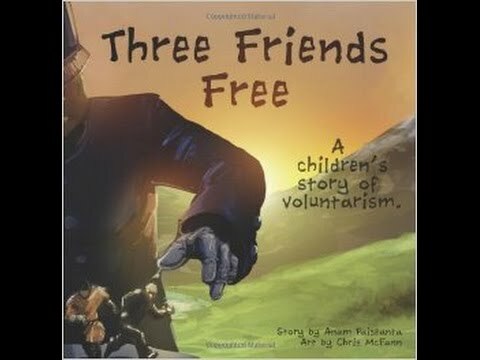 Voluntaryism/anarchism/libertarianism are social movements that reject the artificially indoctrinated belief system of Statism in favor of true freedom and voluntary interactions between free people. It is the most moral of all the political systems in that it recognizes natural law and honors the Non- Aggression Principle (NAP), which posits that no individual or group of individuals has the right to initiate violence and coercion against other human beings who are not aggressing against them — in other words, live and let live, unless someone is threatening your life or property. All other political philosophies (socialism, communism, monarchy, democracy, constitutional republicanism, etc.) allow a ruling class to engage in violence and coercion against the majority. Though these systems may even allow elections where the winning party is allowed to rob everyone in society to enact its stated political goals, elections amount to ritualistic theater (especially when they only represent a minority of the eligible voters and the winner was outnumbered by citizens who didn’t vote at all). In addition to the travesty that occurs when majority rule tramples the rights of the minority, elections are also easily rigged and controlled by moneyed interests to offer the illusion of control to the tax slaves who are ignorant/willfully ignorant of the “Big Con”. If you agree with the assessment that the government and media have been hijacked by organized crime and are looking to “Strike the Root” against their #1 tool: Statism vs. hacking at the branches of evil in rigged elections or with organizations that believe “government” power is legitimate and desirable then I would like to introduce you to our humble effort: The Art of Liberty Foundation. Let’s call the problem inter-generational organized crime, because it is, and focus on the obvious large-scale theft of trillions through the TARP/TALF and other “bailout” programs, trillions missing from the Pentagon, billions from HUD, USPS, AMTRAK, etc. A focus on voluntaryism/anarchy/libertarianism as the only political system fair for all (No Masters, No Slaves) and exposing both organized crime’s #1 tool: Statism and the illogical, self-contradictory ideas behind “government”: The inability to delegate rights you don’t have personally to representatives, the obvious theft of taxation, the immorality of locking peaceful people in for-profit prisons for victimless crimes, etc. Let’s expose “The System” in measurable, targeted, cost-effective ways that take away organized crime’s psychological control system of statism/nationalism by explaining and documenting the identifiable techniques, people, and organizations involved in government-funded propaganda and indoctrination programs including DoD/CIA funding of Hollywood “programming” including 800 plus movies and 1000+ television shows and 6 monopoly media companies running hundreds of subsidiaries to give the illusion of choice the evidence for which is linked in the free PDF version of the book. Provide informational tools for the honest teachers and awake students in the government’s mandatory indoctrination centers and militarized youth programs like the Boy Scouts, Explorers, and Young Marines to expose the “Con” with cost-effective media tailored to visual learners to improve and accelerate their understanding of “The System” including books, posters, videos and infographics tailored to a much wider audience than traditional books. 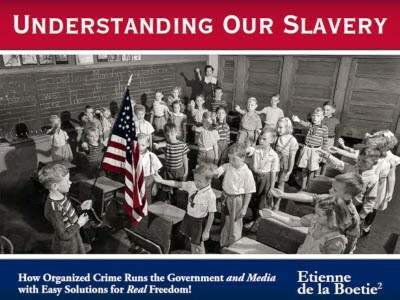 Our book Understanding Our Slavery is our effort to accelerate understanding of “The System” for the 65% of the population who are visual learners and expose the hidden curriculum of Statism in the government’s mandatory schools, scouting programs, and police/military training. We are currently working on getting the effectiveness of the book up and the cost out while researching how to distribute widely in cost-effective and targeted ways. 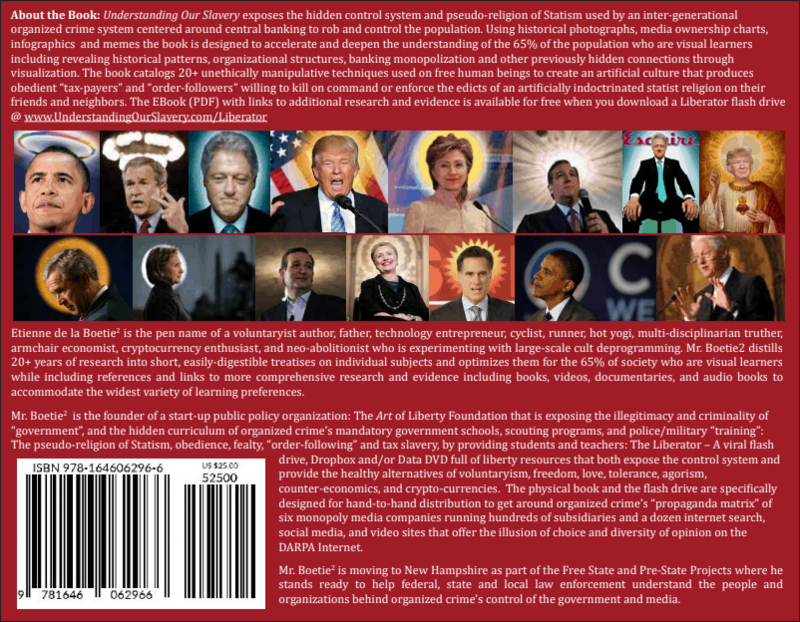 The Liberator is our effort to develop uncensorable, viral, hand-to-hand distribution of liberty material and evidence of government and media criminality on inexpensive flash drives. We are using the symbolism of the 1942 Liberator handgun but with a twist: A lotus flower blooming from its upturned barrel. The Message: First and foremost, We are Peaceful! We honor the Non-Aggression Principal which cult members do not. Second, even if organized crime tricked you into this pseudo-religion of Statism, even if you shaved your head and killed for those using “Gubernare Mente/Government” on you, even if you locked up peaceful people for victimless crimes, even if you inconvenienced travelers and violated their dignity and privacy, even if you propagandized the population from Hollywood, New York, Washington DC, Atlanta, or Langley: It’s OK! You are forgiven! Everyone can be reborn… every day is a potential new beginning! The final symbolism is, because we are dealing with organized crime and shave-headed, mind-controlled cult-member “order followers” financially and psychologically dependent on “The System” and unable/unwilling to comprehend that some people don’t believe in their artificially indoctrinated religion: We’re holding on to the gun! First, you are a free, sovereign being who doesn’t owe his allegiance or income to any king, caliphate or country just because you were born in this or that geographical area. If you are willing to abandon the use of violence and the mythology of government/authority then you have tens of millions of fellow voluntaryist/libertarian brothers and sisters around the world who feel the same way and are trying to free ourselves from “The System”. Locally, it is incumbent on the business and community leaders represented by the NAACP, the Northern Virginia Business and Professional Women’s Club, the local Boy Scout Troop in attendance and others at the meeting and not present to demand that the schools have an open discussion on the use of Statism and the unethically manipulative obedience techniques being used including, among others: Corporal punishment, public shaming, collective punishment, Red, Yellow, Green troublemaker boards/classroom management techniques, Requiring permission to use the restroom, drill bells, and walking in single-file lines to name just a few Scouting and jROTC Uni-Forms and programs, . In closing, South African Apartheid activist Steve Biko famously said: “The Most Potent Weapon in the Hand of the Oppressor is the Mind of the Oppressed”. 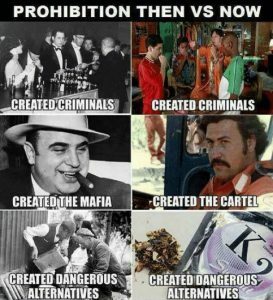 I hope my book and the videos, documentaries, and podcasts on The Liberator are able to cut through the 12,000 hours of indoctrination inflicted by Gubernare Mente / Government and the “Propaganda Matrix” of six organized crime monopoly media companies running hundreds of subsidiaries to give you the illusion of choice. In the Solutions section of my book, I recommend dedicating just 5% of your time to becoming a scholar to find out what the gov’t mandatory schools, rip-off universities, and MainStreamMedia have been hiding from you starting with the short videos and documentaries in The Liberator Always remember: Resistance is the difference between being a slave and being enslaved! 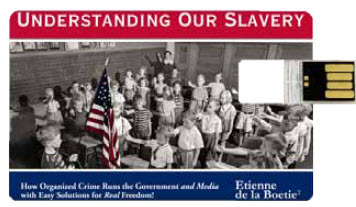 Please support our efforts by purchasing a hard copy edition of Understanding Our Slavery and/or our wallet-sized flash drive of Freedom: The Liberator at our on-line store, donating through cryptocurrency here, or by check or credit card using the donation form on page 72 of the book.